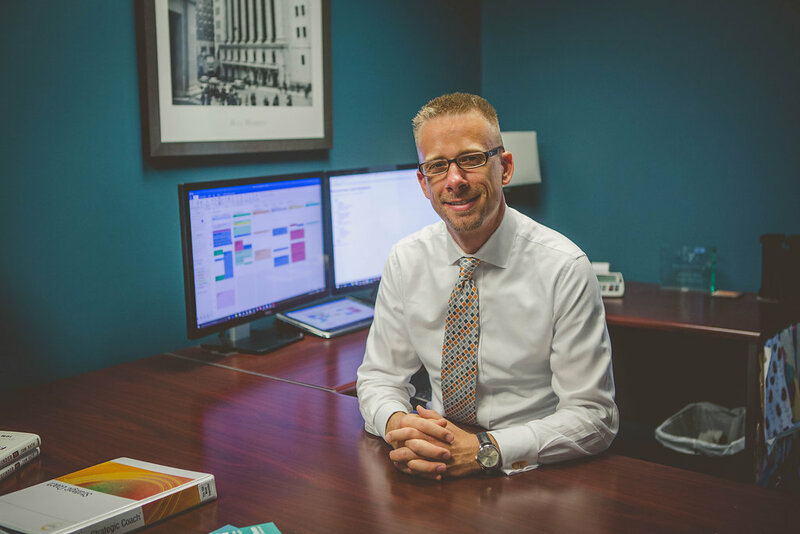 Our very own Co-Founder and Chief Operating Officer, Tony Hixon, has been appointed on the Advisory Board of Morningstar, Inc (Ticker: MORN). Morningstar is a Chicago-based independent investment research firm that compiles and analyzes fund, stock and market data. They have presence in 27 countries and employ approximately 5,000 people. They also provide an extensive line of software that is highly used among financial advisors across the world. The Advisory Board not only provides oversight and direction to the management team while encompassing the long-term interests of Morningstar and its shareholders; they also utilize the skillsets of advisors on the front line, such as Tony, to represent clients, peers, and industry leaders for future product direction. Help us in applauding Tony for his continuous hard work, dedication and efforts to enhance our industry by being a part of Morningstar’s Advisory Board! 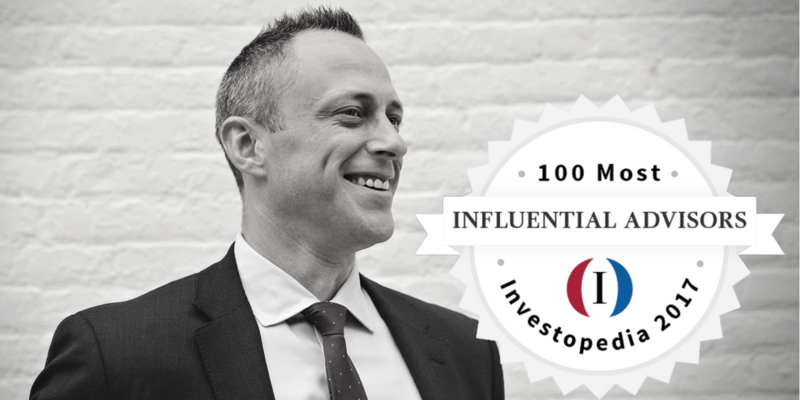 …that our CEO, Adam Zuercher, has been named in the INVESTOPEDIA 100: Most Influential Advisors list! This is an exciting honor as this list recognizes financial advisors with the greatest impact across social media and content channels including TV, radio, blogs and books. Investopedia, the premier online source of trusted financial information and services, announced the inaugural INVESTOPEDIA 100, a ranking of influential financial advisors based on social, digital and event clout. Powered by a team of PhD data scientists and financial experts, Investopedia analyzed financial advisors based on their presence on social media platforms, traditional media outlets and blogs as well as their marketing efforts to rank 100 financial advisors. The ISM Manufacturing Index fell in April to 54.8 but remains in positive territory. The report is above 2016’s 51.5 average and suggests continued manufacturing growth. Meanwhile, the PMI Manufacturing Index reported a 0.5 loss in April at 52.8. However, the PMI Services Index rose from 52.8 in March to 53.1 in April. While the month-over-month declines may show a pause in manufacturing, numbers above 50 indicate growth. U.S. motor vehicle sales bounced up to an annualized rate of 16.9 million. Though April’s report falls below the predicted 17.2 million, it improves on March’s 16.6 million annualized rate. Oil prices tumbled last week. Both June West Texas Intermediate (WTI) crude and July Brent crude finished the week down. WTI closed at $46.22 a barrel, falling approximately 6.3% below last week’s close. Brent crude fell by about 5.6% for the week to $49.10 a barrel. On Sunday, Emmanuel Macron won the French presidential election, as expected. Macron’s win should ease European Market concerns, as he is a centrist who supports global trade, the euro, and France’s continuing membership in the EU. This week, the Fed meets to determine whether or not to raise benchmark interest rates for the first time in 2017. Right now, the market gives a 93% chance of a rate hike. In this update, rather than analyzing what lies ahead or what happened last week, we would like to acknowledge just how far the U.S. economy has come since 2009. 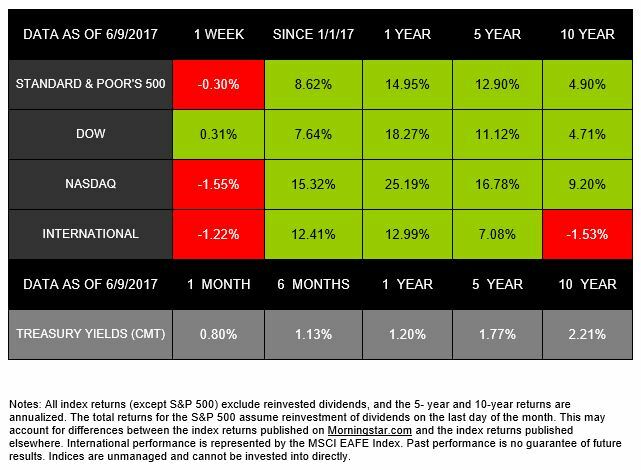 Today, we can see just how far the markets and economy have come since March 2009—and the growth investors could have missed if they avoided the markets. Take, for instance, the S&P 500. March 2009: We learned the economy had fallen by a 6.3% annual rate during the fourth quarter of 2008—its largest decline in 26 years. Today: The most recent data from January 2017 indicates that median home prices have increased to $228,900—a 34.7% increase since March 2009. Throughout this economic recovery, people have seemed concerned the bull market was about to end. 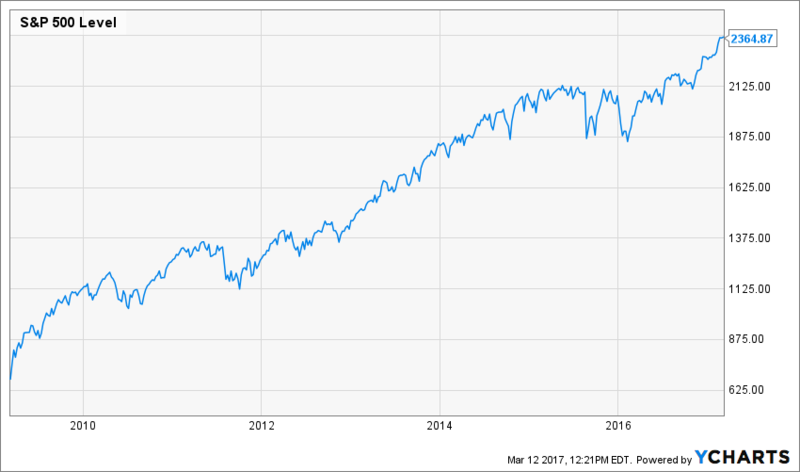 When discussing the bottom of the market 5 years ago, in the March 12, 2012 Weekly Update, we wrote about many analysts’ worries that a pullback was imminent. Even last year, one MarketWatch columnist wrote an article titled “Happy Birthday Bull Market—Now Write Your Will,” warning that the markets would not reach new peaks in the near future. 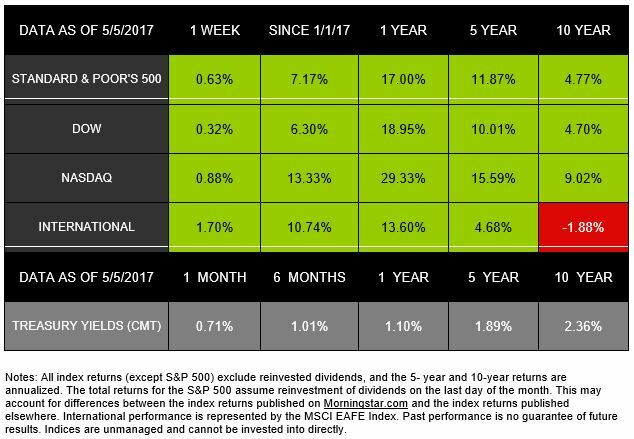 The S&P 500 has gained around 19% in the months since then. 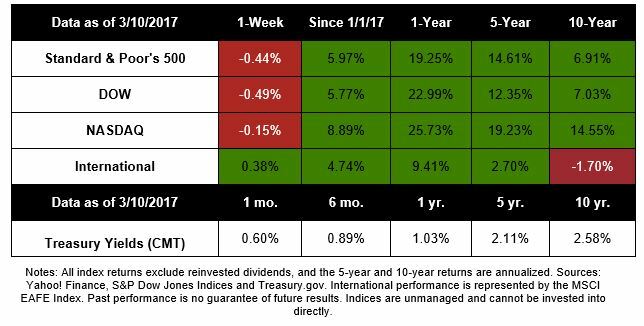 As always, we will continue to offer the advice we believe suits your best interests in every market environment: Focus on your long-term goals and personal needs, not headlines and emotions. We have come a long way in 8 years, and we will continue to guide you through the market’s changing times and inevitable fluctuations. If you have questions about where you stand today or how to prepare for tomorrow, we are here to talk.